Warmer weather is slowly, but surely starting to head our way. 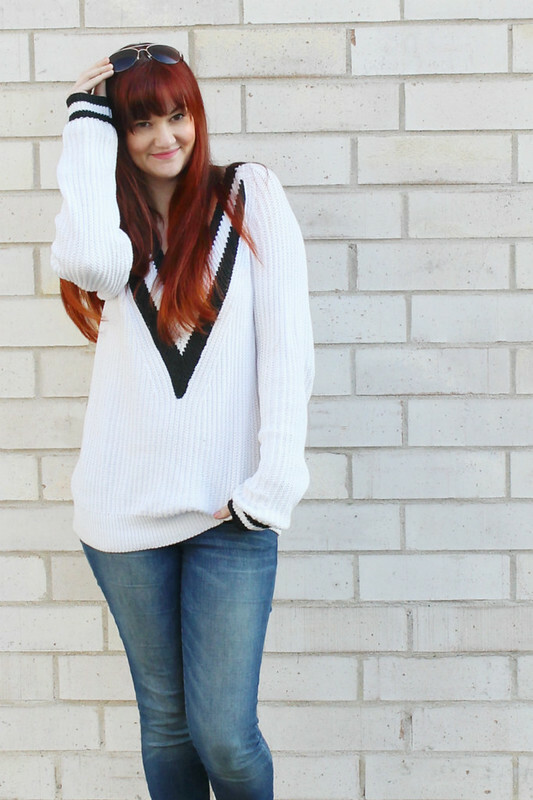 It's easier to go jacket free when you have a cozy sweater to rock during the day. I like one's like this one I'm wearing that are a looser knit, so that they breath more and aren't as warm as a traditional sweater. 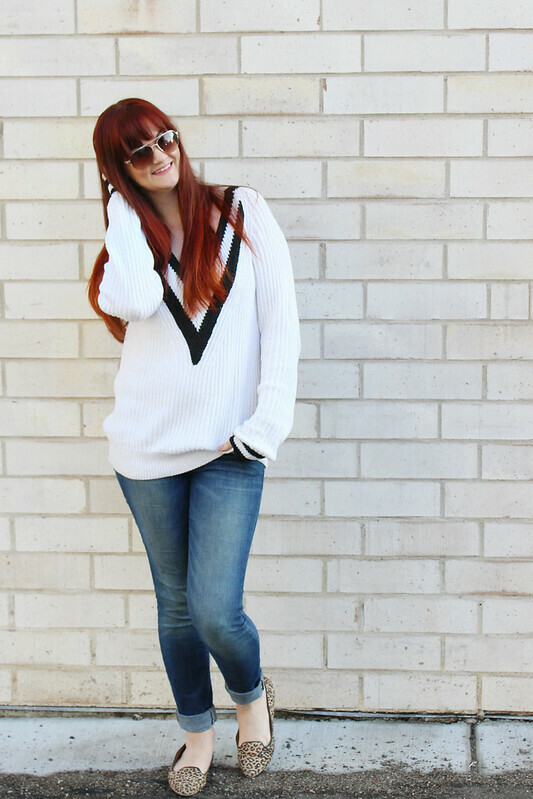 It makes it the perfect spring closet staple, and I'm majorly crushing on the varsity style - super preppy look. Click read more for the rest of the post. 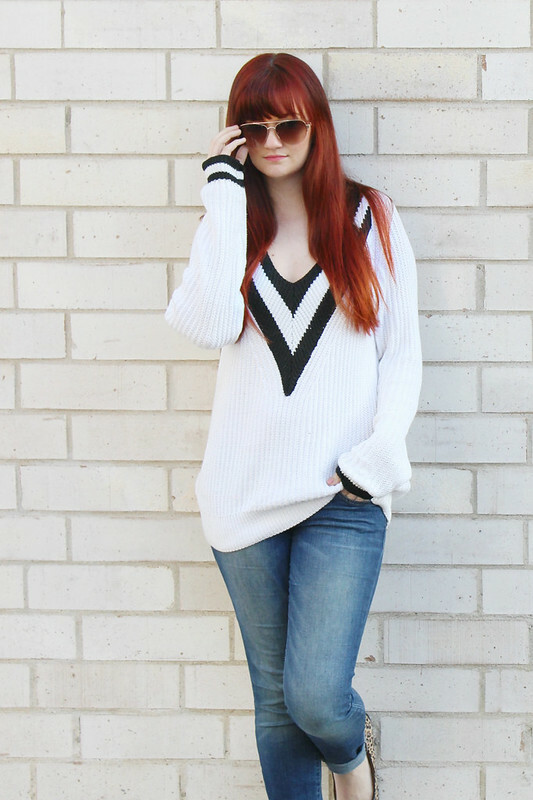 I wanted to keep it spring casual and cozy with this bold and graphic deep V varsity sweater. 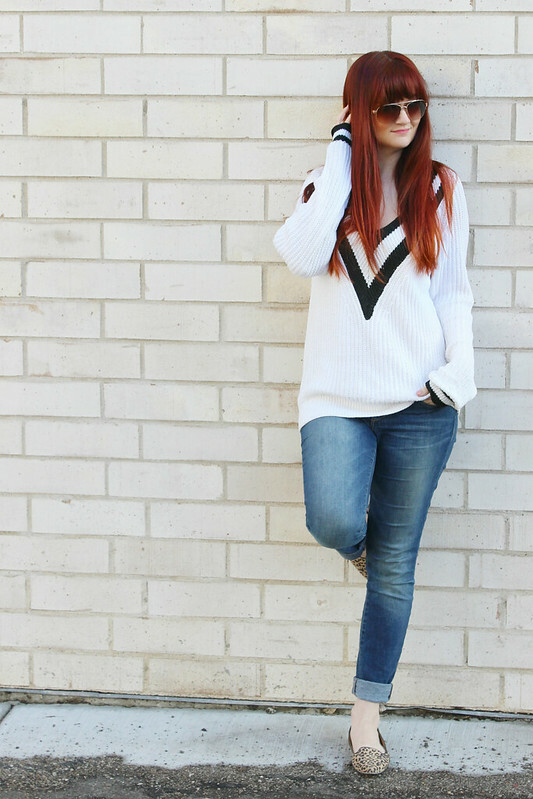 I personally purchased the sweater a size bigger than normal so that it would fit baggy and extra comfortable. I wanted it to look like I through on my boyfriend's sweater and rolled out the door. Keeping with the menswear inspiration, I wore loafers...but I made the look a little more feminine by choosing loafers in a leopard print. I wanted to balance out the ultra bagginess of the top with some skinny jeans. I cuffed them for a little added detail. No excuse me while I go have a glass on wine on a patio somewhere.